Prepare yourself for the convention season. Yes, the convention season is about to kick into high gear and getting as prepared as you can will greatly increase your chances of buying wisely, having fun, maximizing your time and keeping your sanity. Comicbookdaily.com is offering up a series of convention prep tips that are designed to turn you into a lean mean con machine. You’ll learn to think with clarity, make good split second decisions, haggle with dealers and eat right along with many other needed skills that will enhance your convention experience. Usually tips like these on a DVD can cost $19.99 + S&H but CBD is posting them absolutely free. Convention Tip #9 – Logistics! Comic book conventions are dangerous places for impulse buyers. You can end up heading home with a 50 cent comic or you could end up heading home with a 4 foot R2D2 replica, a gorgeous 42” x 38” framed painting of Phoenix, 3 short boxes full of CGC graded comics, 2 Samurai swords, a Viking sword and a 50 cent comic. Often we don’t realize just how overboard we went until it’s time to leave, and we realize there might be an issue with getting all these items onto a bus or back to the car all by your lonesome. The logistics of transporting purchases back home should always be seriously considered. We’ve talked about developing a game plan and staying focused so our hope is that with these tips you’ll never go too overboard. 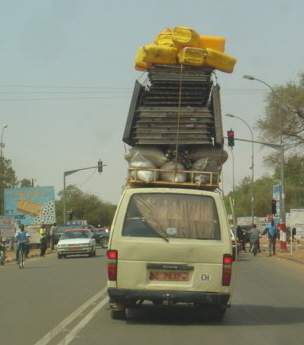 Solutions do exist for many logistics problems; you just have to get a bit creative sometimes. If you can’t carry everything to the car in one shot then you can ask someone from the booth you bought the biggest volume from to spare someone for 5 minutes to give you a hand. Most dealers will be grateful for your business, understand you predicament and be glad to help. If staffing is sparse they should at least be able to keep a few items at their booth allowing you to make a few trips to the car (or the taxi cab). In extreme cases if there is no car and a taxi cab is out of the question you can always ask a local dealer to lug the stuff back with then at the end of the show. This requires some sort of good relationship with the retailer and it should involve at least some product you bought for their booth. Again, this is an extreme case and you should note that the guys will be tired at the end of a con. Remember that at this point you are in some dire straights so offer money for this service. They may take it they may not. At the last show we attended a local was using our booth as a lay off area for his purchases. He was shocked at how much was piled up by Sunday. We offered to throw the stuff in the back of the van but he opted for one of us helping him run the stuff out to the car. Convention services should be able to help if you’ve been unsuccessful with all the above approaches. Convention services like customers like you, they know you make the dealers happy and they want you back. They will be able to get a volunteer to help you carry stuff and they can even call and line up special transport (like a mini van taxi cab) if you’re really in trouble. I know that most of us think well on our feet and I know that the above may seen obvious but I have seem people actually paint themselves into quite a corner with their purchases. If reading this can convince you that there is a solution available to all your miscalculations you just may make a bigger pile at my booth at the next con.